On November 8, 2016, CincyIP welcomes Todd Tucker of Calfee, Halter & Griswold LLP to lead a discussion on protecting innovations in China. Todd will review best practices for entering the Chinese market, running effective partnerships with Chinese companies, and protecting IP in the People’s Republic of China (PRC). 4) Understanding the weird (and sometimes counter-intuitive) world of Chinese utility models. Todd focuses his practice on intellectual property litigation and intellectual property counseling. He has served as lead trial counsel in patent litigation actions before district courts and the International Trade Commission, including numerous jury trials. He has also argued before the Federal Circuit. Additionally, he counsels companies on the procurement of intellectual property assets and the management of their worldwide intellectual property portfolios with a particular emphasis on protecting IP assets in China. He also provides Chinese companies with general counseling on doing business in the United States. Todd has developed and managed global patent enforcement programs for a variety of clients. These programs include obtaining preliminary injunctions in the United States while managing worldwide counsel seeking to enforce related patent rights throughout Europe and Asia. As part of his global IP experience, he assists clients with protecting business interests and inventions in China. 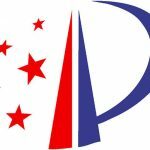 He has formed and managed several Chinese R&D centers and is well-versed in many aspects of Chinese IP Law including procurement and enforcement of Chinese patents, utility models and trademarks. Todd has also managed Chinese invalidation proceedings and is experienced with the nuances of IP licensing in China. Todd is licensed to practice before the U.S. Patent and Trademark Office and is a member of the Cleveland Intellectual Property Law Association, AIPPI, AIPLA, and INTA. He is recognized as one of America’s Leading Lawyers in Chambers USA.